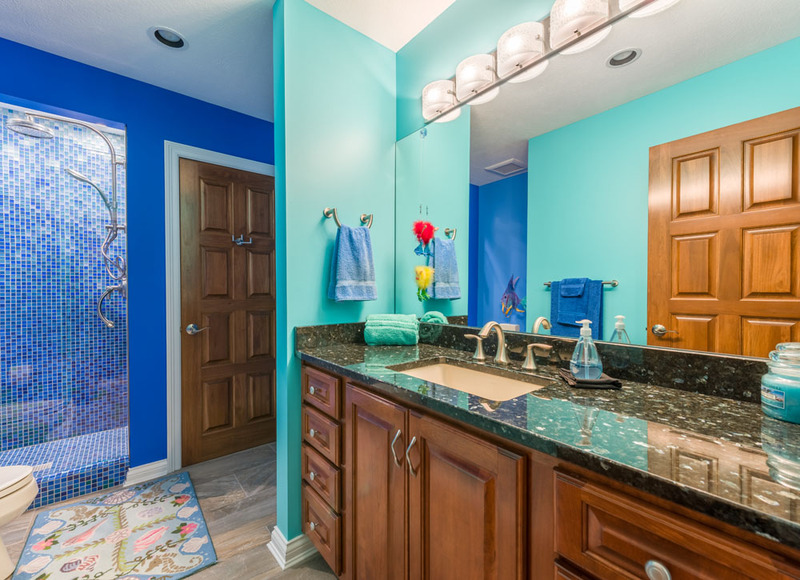 The renovation of the guest bath included new tile flooring, base cabinets, ​granite counter top, new lighting and a mosaic tiled shower. 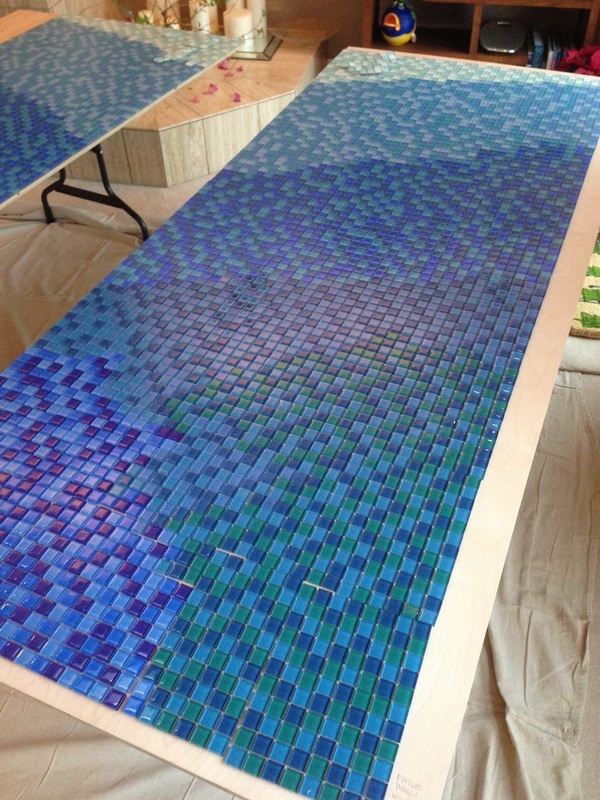 Nearly 14,000 tiles were installed to create the “water” feel of the ocean. 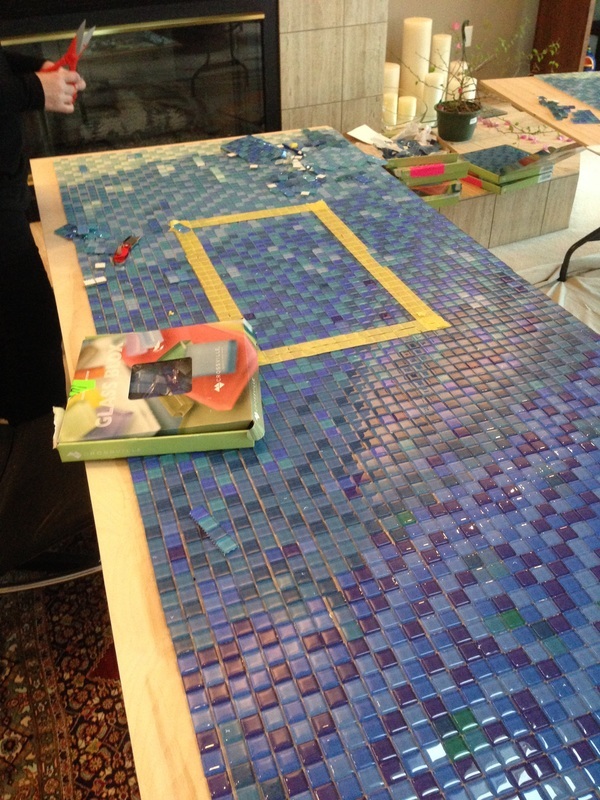 The tile layout is highly complicated since the first tile that is laid relates to every other tile. 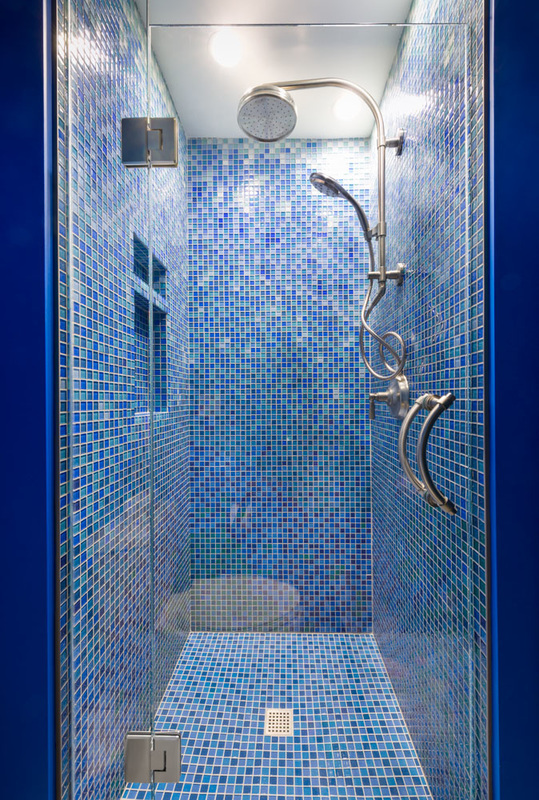 The most critical point is measuring the ​location of the shower niche since the tiles needed to line up in all directions. 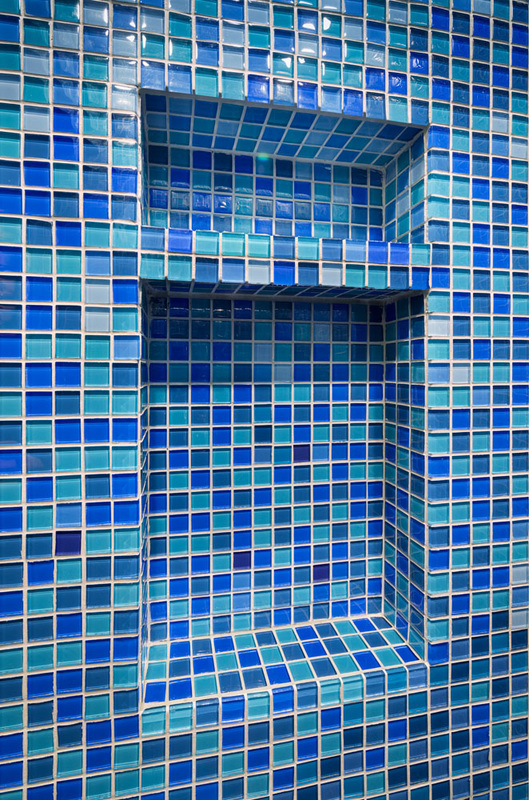 ﻿The layout and lining up the grid pattern of the tile is a challenge we enjoy. It all has to line up, back wall, top, bottom and sides. 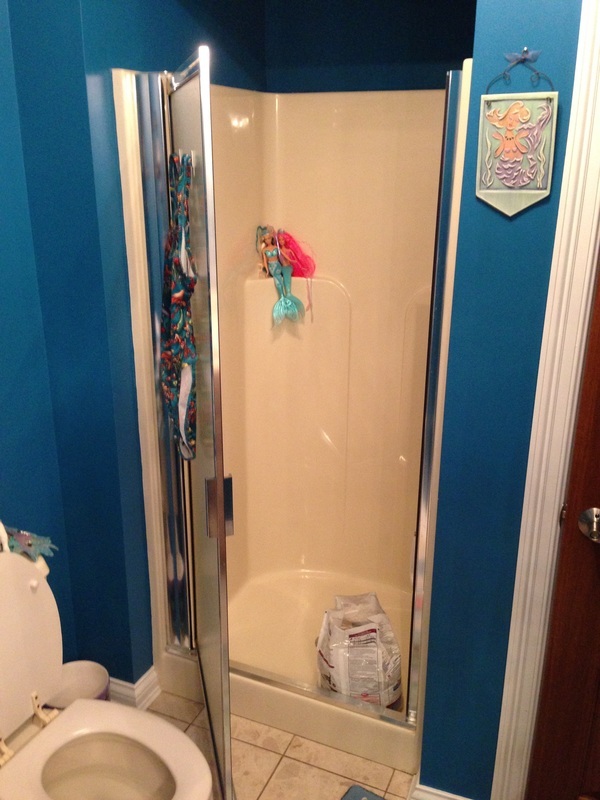 Having the ability to custom build any size shower niche aids in the process. 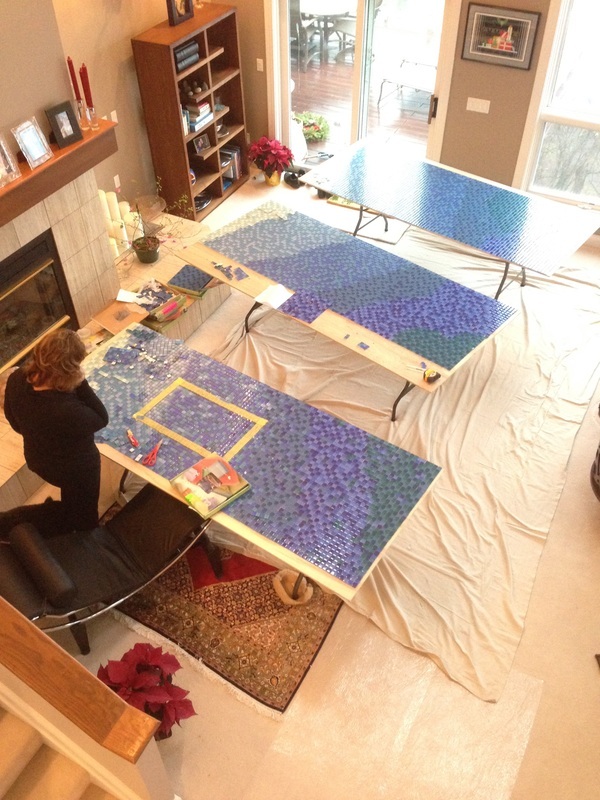 We set up tables in the living room, which enabled us to view the layout from the second floor. The yellow rectangle is the approximate location of the niche. Final placement was determined during the installation. 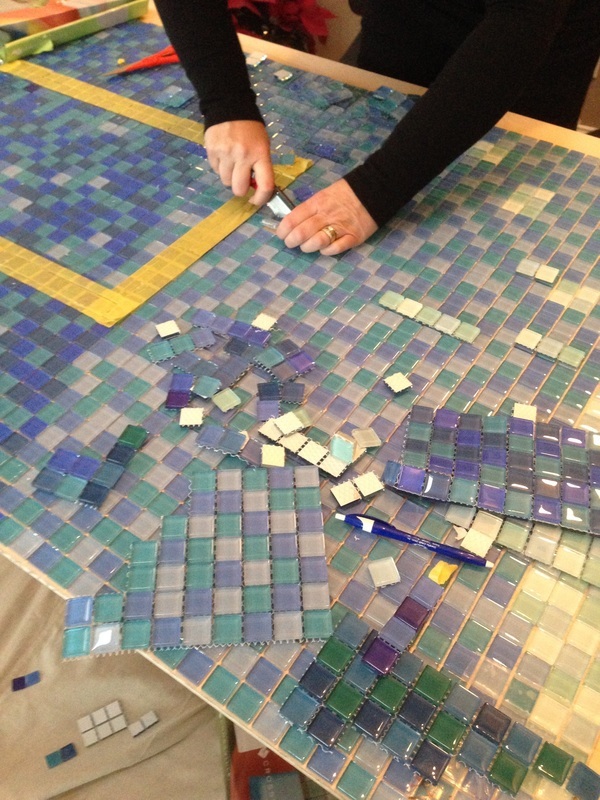 The final blend of the 1" x 1" mosaic tiles, next step is installation. Copyright © 2015 Sawdust Therapy. All rights reserved.